*If using 16mm, adjust Step 2 to allow for 16mm slot. 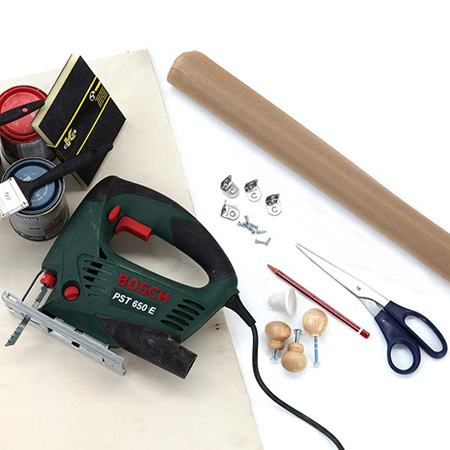 Find all the tools and supplies for this project at your local Builders Warehouse. 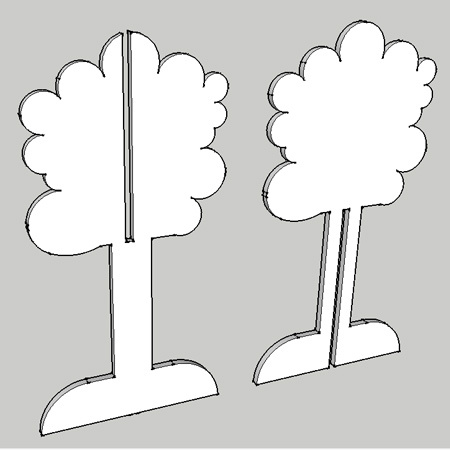 ABOVE and BELOW: The tree coat hanger is two sections that slot together. One has a slot cut down from the top, and the other a slot cut up from the bottom. 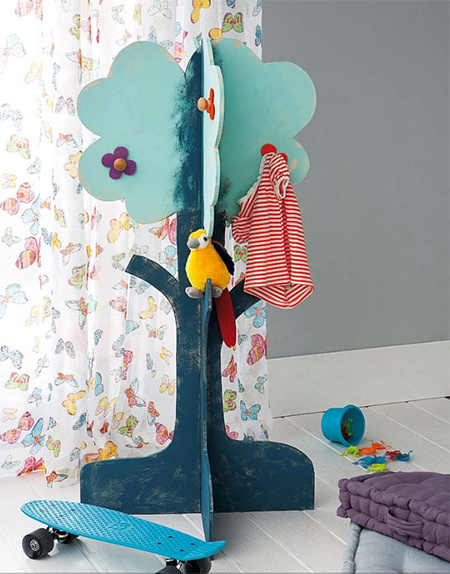 Add extra branches on the tree trunk for even more storage. 1. Fold a length of brown paper in half. 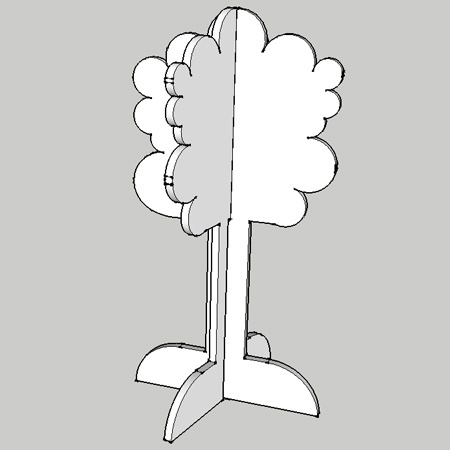 the length should be the same as the height required for the coat tree. 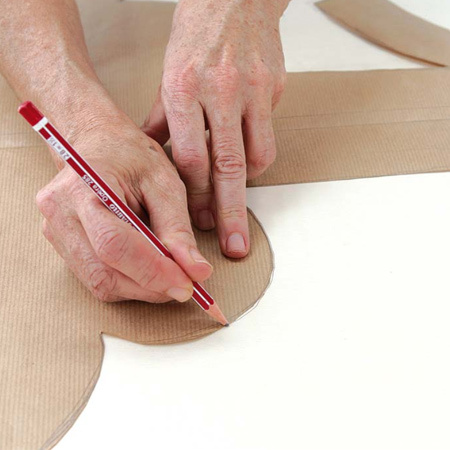 Draw out half a tree shape on the brown paper and keep folded over to cut out the shape. Open up and flatten to use as your template. 2. Draw two tree shapes on a piece of board. Cut out with a jigsaw. One one board cut a 12mm slot from the top down to halfway, and on the other cut a 12mm slot from the bottom up to halfway. 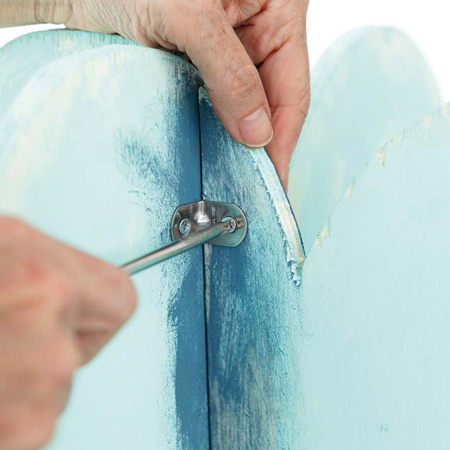 This slot allows the two pieces to be joined together. 3. Before assembly, paint the sections in your choice of colours. 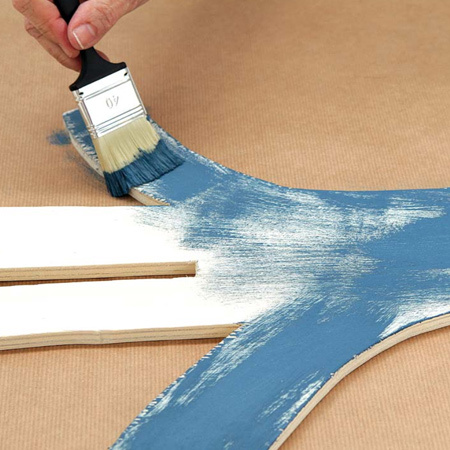 You can use any acrylic paint for this project. 4. Slot the two sections together and add steel corner braces for added stability. 5. 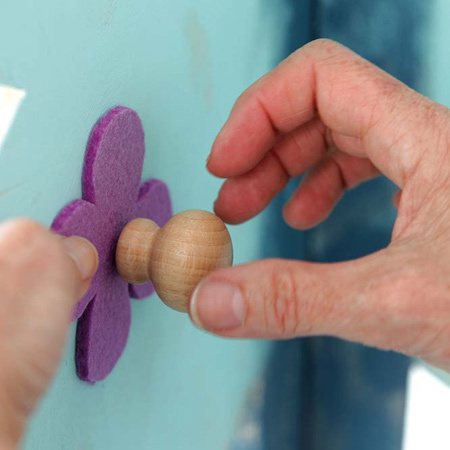 Finish off by adding the pine knobs over colourful, cut out felt shapes.